The National Youth Council of Nigeria, Lagos State Chapter, few days ago endorsed Governor Akinwunmi Ambode, Lagos State Governor for a second term in office. Gbenga, said the endorsement was stood out of the extraordinary achievement of the Governor Ambode since he took over power in 2015. We are ready to canvasses the 5 Million Votes. The youth leader particularly commended Ambode for his employment policy, which the youth are the greatest beneficiaries. He stressed that since the governor came to power, over one million people, majorly youths, had been employed as teachers, neighbourhood corps, traffic officer and cleaners across the 20 local government areas and 37 local council development areas in the state. 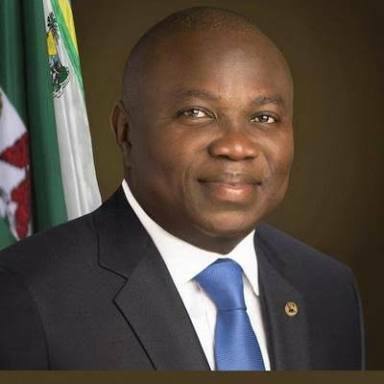 The chairman of IBILE Microfinance bank Limited, Mr. Kolawole Taiwo, said the achievement of Ambode was monumental hence the youth had no option but to tell him to continue for another four-year term. He said Ambode’s name would go down in the history of the state as the governor who spread development across the entire state by given loan to young entrepreneurs in each of the 57 local governments and local council development areas. Seyi Bamigbade, State Coordinator of Itesiwaju Ipinle Eko Vangaurd said ’Governor Akinwunmi Ambode administration will continue to take actions and support all programmes, policies and initiatives meant to enhance gender parity, put an end to all forms of discrimination against Youths .We thank President Muhammadu Buhari for signed the “Not Too Young To Run” bill into law. He said. He urged Lagosians, especially the youths, to show solidarity by enrolling in the ongoing PVC Registration. Barrister (Mrs) Otufowora Adebukola who chatted with Reporter at the Lagos State Barbing-Hairdressing And Cosmetology Association, Monthly General Meeting in Alimosho Lagos State, said more women must be specified attitude to comprise in polities as a key to progress. The Women Leader said: ‘’ Women are a very important part of our society and no society can thrive without making enduring policies concerning them in its programme. The Lagos State government recognises it, and this explains why the welfare of women and youths is one the critical policy focus of this administration. “The government has been absorbed and practical done careful policies and continued exertions to confirm equality, likeness and full rights of women. Please go and collect your PVC, She urged.